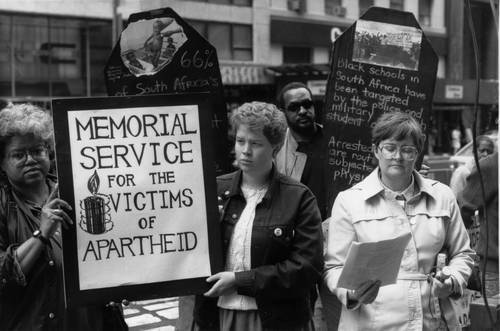 A memorial to the victims of apartheid was held in New York City on April 4, 1988, the 20th anniversary of the assassination of Martin Luther King, Jr. This photo was digitized by Clarity Films. 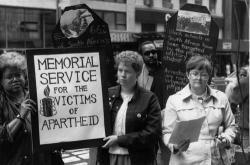 Photo courtesy of the Interfaith Center on Corporate Responsibility.